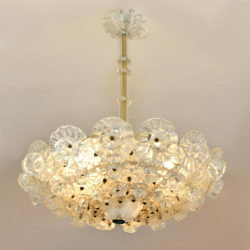 85cm drop x 58cm diam. 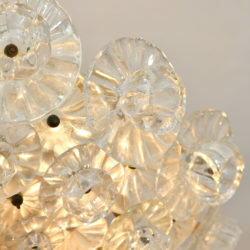 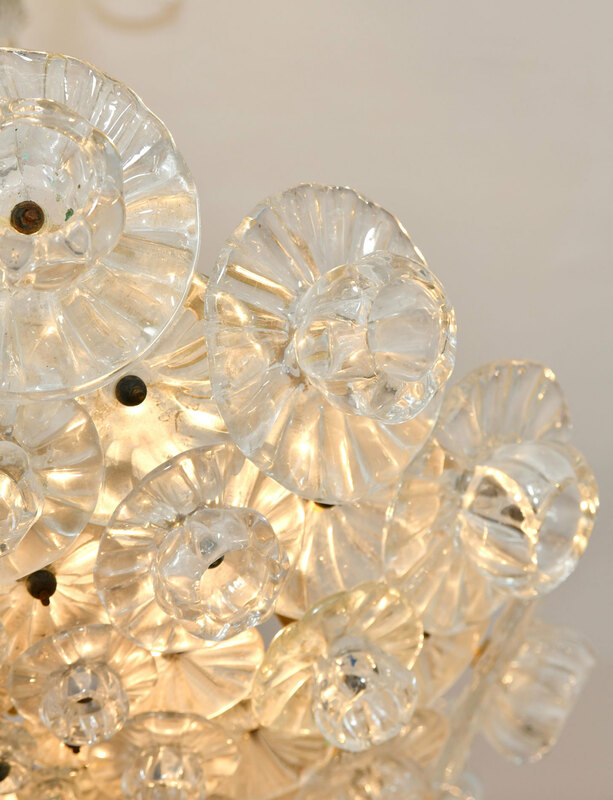 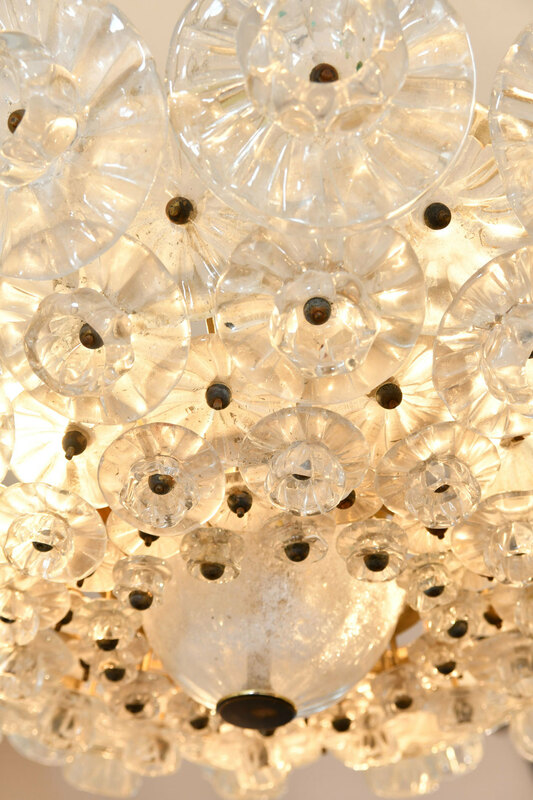 Romantic flower chandelier made up of individual overlapping glass flowers graded in four different sizes. 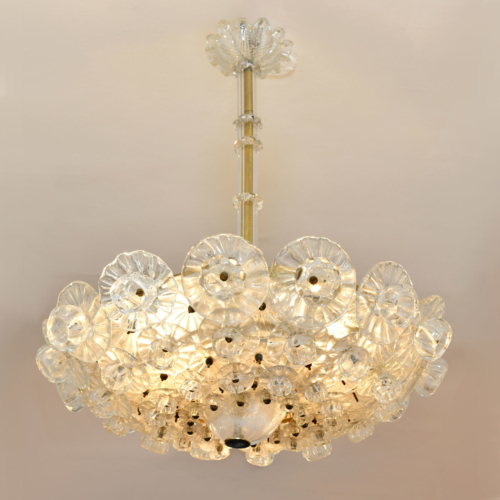 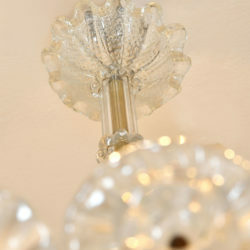 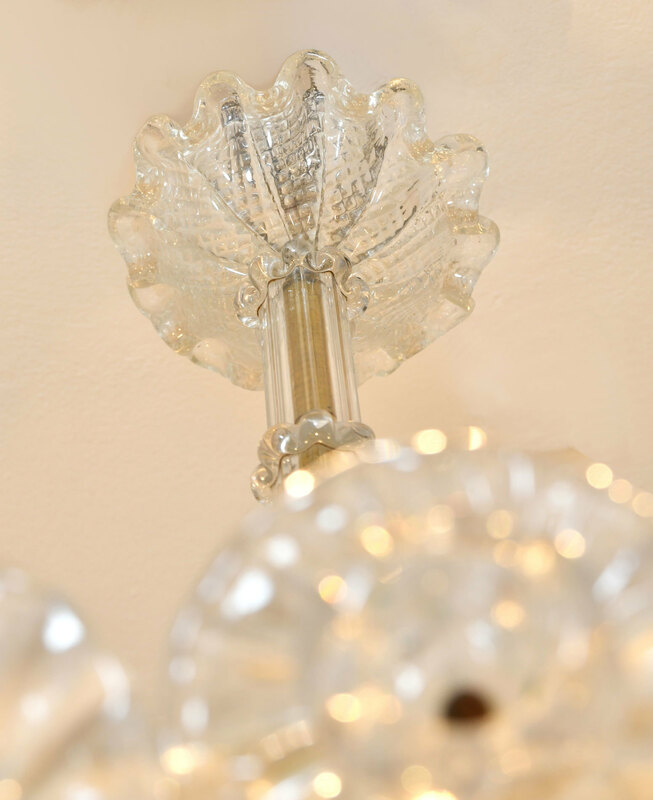 The delicate detailing extends to the glass rod and fluted ceiling rose. 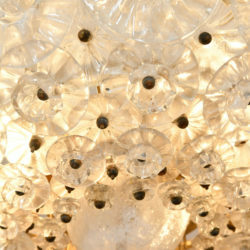 Three lightbulb fittings, re-wired and PAT tested.